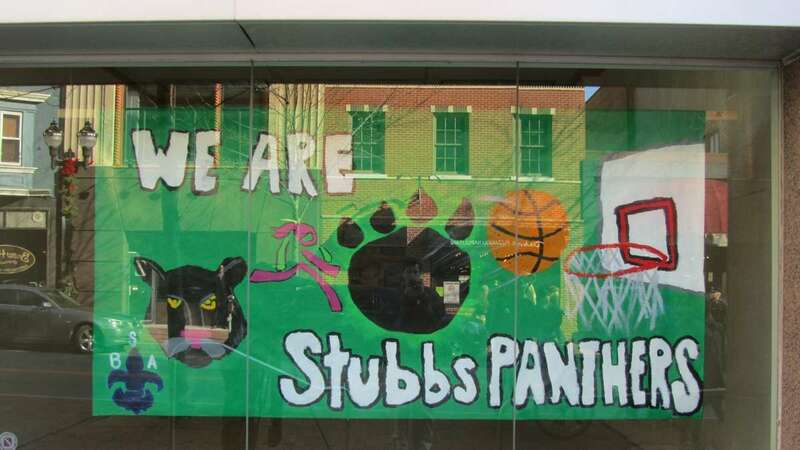 Students from three local schools designed the murals that fill the windows of a vacant storefront along downtown Wilmington’s heavily traveled Market Street. 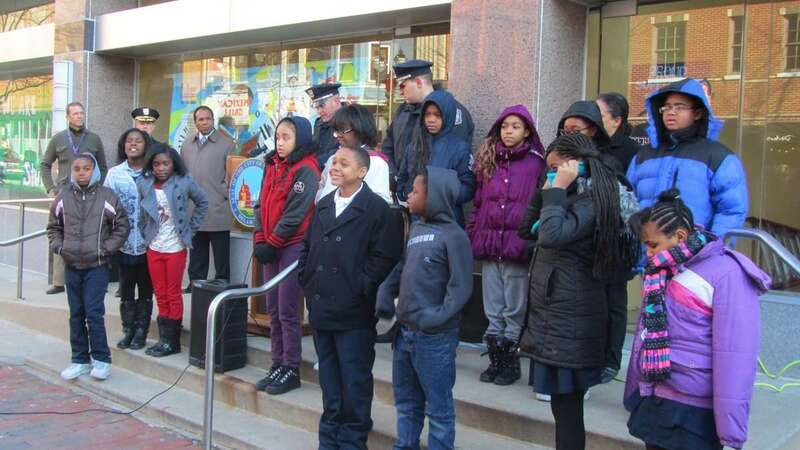 Wilmington Mayor Dennis Williams joined the students along with Police Chief Christine Dunning to celebrate the placement of their artwork in the 800 block of N. Market St. 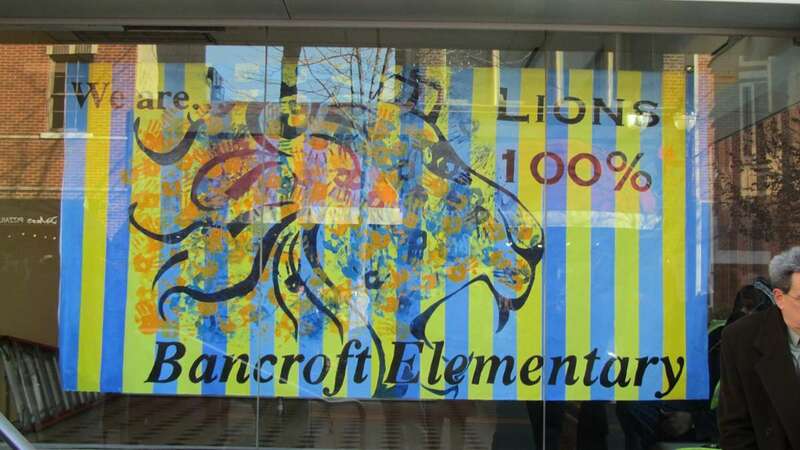 The students from Bancroft Elementary, Stubbs Elementary and Kuumba Academy painted three mural sections the measure nine by five feet. The idea for the murals came from Wilmington Police Master Corp. Malcolm Stoddard who recently started working as a patrolman in the downtown business district. Stoddard got in touch with Harry’s Artarama store, a block away on Market St., and the store donated supplies for the students to do the artwork. 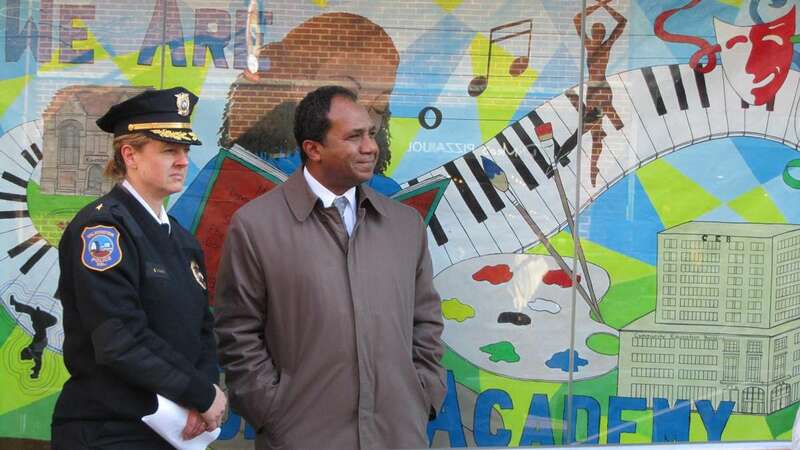 Stoddard said he based the mural idea on the concept of crime prevention through environmental design. 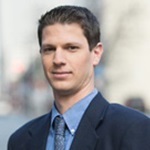 That theory holds that urban design and planning can play a role in reducing crime. Stoddard’s move to a downtown beat was part of Mayor Williams recent decision to redeploy more officers into the downtown business district to ensure the safety of what Williams calls the city’s economic engine. 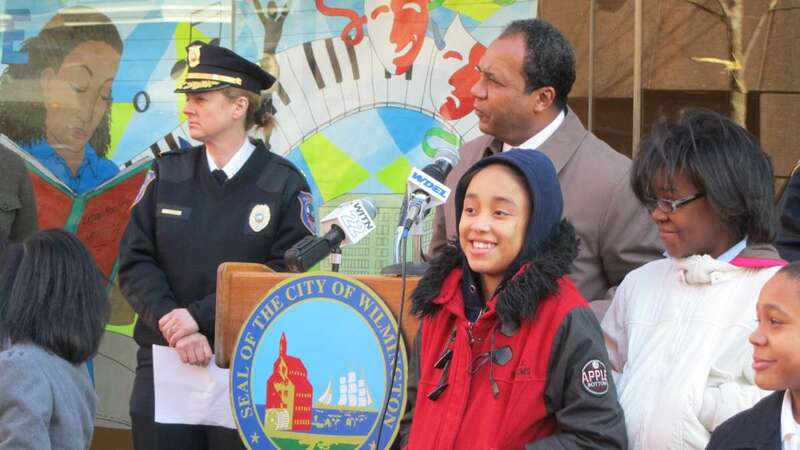 Before introducing Police Chief Christine Dunning at a press conference for mural unveiling Wednesday, Williams reiterated his support for Dunning. “She is still my chief,” Williams said. Questions about Dunning’s future at the helm of the department have been raised over the past few weeks after Williams said he was considering a shake-up of leadership within the department.